Kershaw Plain Point Sea Hunter Multi Blade Knife | BUDK.com - Knives & Swords At The Lowest Prices! The Kershaw Sea Hunter Knife features a 3 3/4" part serrated 420J2 stainless steel blade with cord cutting hook and neon plastic and black co-polymer handle. Includes a divers sheath with adjustable straps and quick release buckles. 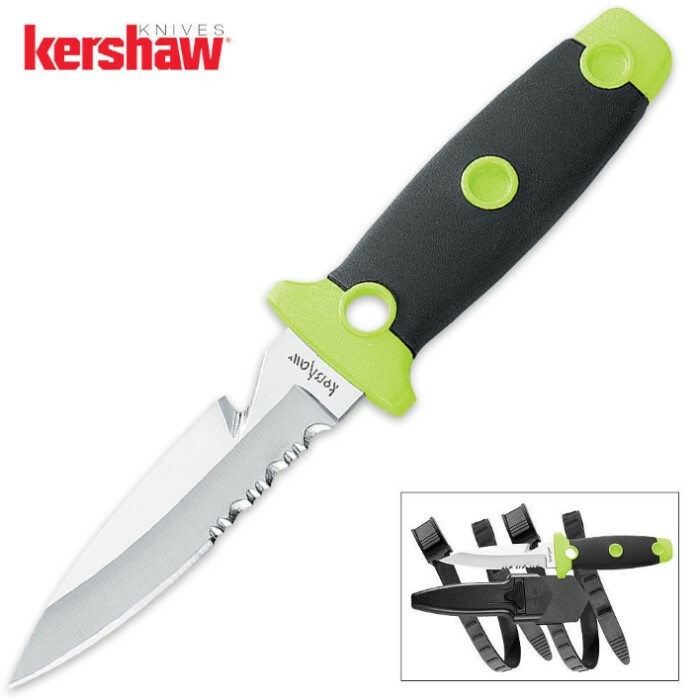 The Kershaw Sea Hunter Knife has an overall length of 7 3/4".